"Beaver tails", "whale tails", "elephant ears" - the vendors pop up everywhere in the summer from folk to jazz to fringe festivals. But what they're really hawking is good ol' fryfread. Ubiquitous at summer fests From East coast to North, South and West They call it a “whale tail” But we know without fail It’s fry bread! And fry bread’s the best. No matter the name My sight, taste, unmistaken. Get in my belly! 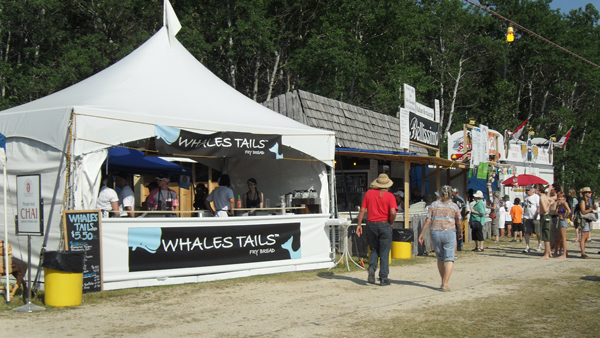 Festival season, walking around Recognizing the smell, knowing the sound You see the sign – whale tails are here! But they cannot fool you – frybread is near. Revel in sweetness with butter and honey Eat it up savory – it’s good bang for your money Any way you slice it - up, down or sideways Delicious! Delectable! And we love it all ways.